Eibach gains its experience from Motorsports like Formula 1, WRC, Indy, Cart, NASCAR, DTM and transforms this knowledge into performance spring and suspension systems for you. The Eibach Pro – Kit is a set os sports suspension springs that can be used in conjunction with O.E. 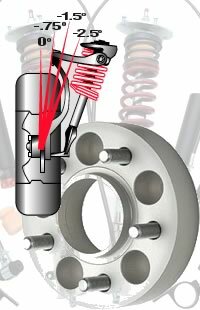 – shocks and other types of aftermarket shocks, especially with the Eibach Pro – Damper. You will sense the sporty road–performance of your vehicle when changing directions and when pulling through curves at high speeds while not sacrificing any comfort.